The Viva Mayr programme is totally different from most detox programmes on offer. Forget juicing and raw vegan regimes, the Mayr doctors believe firmly that cold raw food is tough on the digestion. Their principles revolve mainly around getting the right acid/alkaline balance in the body and not stressing the gut with problematic foods and food combinations. At a Mayr clinic you will usually be tested for food intolerances, either via conventional lab tests or by the less conventional kinesiology (muscle testing). They don’t advocate lifetime exclusion diets. Often a short break from difficult foods allows the gut time to sort itself out (to use a highly technical term) and you can reintroduce the food later with no problems. Anyhow. There are a few general rules and regulations which seem to hold good for pretty well everyone. 1. Keep cold liquids separate from mealtimes. There are no carafes of water on the table at Viva Mayr as water is thought to dilute the digestive juices. You’re asked not to drink for half an hour before mealtimes, and for 60-90 minutes afterwards. Curiously, the odd glass of wine with a meal is fine – but not the whole bottle! Ideally ‘eat’ your wine with a teaspoon. 2. Always eat at a table, without any distractions. So, no reading, no television watching, no working at your desk, no browsing Twitter, no conversation even. Focus on your food and be mindful. 3. Smell your food before you eat. Your brain will recognise what you’re about to eat and will signal to your digestive system to fire up the right enzymes and acids required to deal with the incoming load. 4. Chew. And chew and chew and chew. The more you chew your food, the more you make it easily digestible. Digestion begins in the mouth, remember, with saliva. 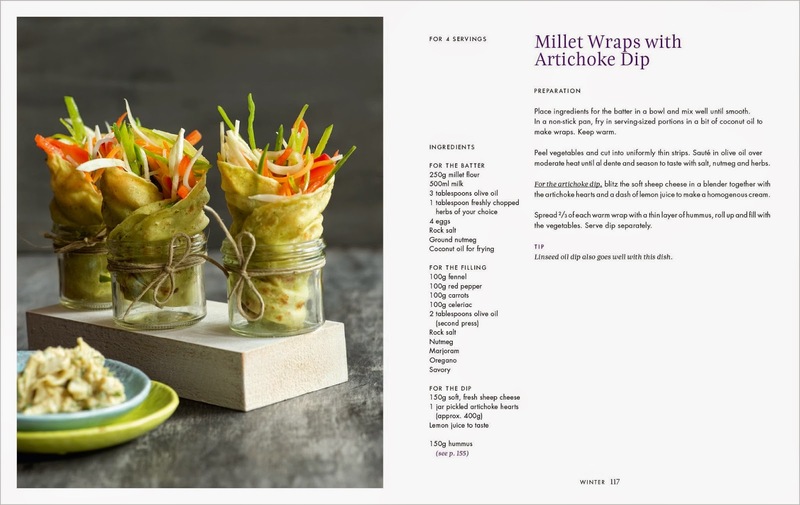 The mouth can also be the last chance for some foods (vegetables in particular) to have their outer skin broken, allowing essential nutrients to be absorbed by the digestive tract. If you don’t chew, you risk losing out on vital nutrients and micronutrients. You can also end up feeding the bacteria in your colon, producing gas. If you eat meat, then chewing is particularly important – if you’re eating steak you should aim for 50 chews per mouthful. Yup, you read that right. 5. Raw food is fine – providing you chew properly. However Viva Mayr has the rule ‘nothing raw after four (pm)’ – as your digestive powers start lessening after that time and could cause food to sit around undigested overnight, powering up the gassy bacterial brigade. 6. Smoothies are fine – in small doses. They are full of good things but tend not to have enough enzymes for easy digestion. Have one small cup at lunch, if you like, but ‘eat’ it with a spoon very slowly (as for wine). Eat fruit in the same way – slowly and well chewed. 7. Don’t snack in between meals. Instead use mid-morning and mid-afternoon as times to take water and plenty of it. 8. Make breakfast the largest meal of the day, lunch reasonable and supper very small and light. Eat your supper as early as possible – at Viva Mayr dinner kicked off at 5pm. A small bowl of soup is ideal. Or a dish of potatoes drizzled with linseed or hempseed oil (Viva Mayr loves potatoes for their alkalising effect). 9. As far as possible, practice food combining. So eat carbohydrate with vegetables, or protein with vegetables, but try to avoid mixing protein and carbohydrate at the same meal. Though, to be fair, they seemed to mix them up a fair bit at Viva Mayr. 10. One small cup of decent coffee a day is fine – ideally at breakfast. Then switch to herbal teas. At the clinic you are put on a very strict diet and, to be honest, the meals can be very bland and pretty uninspiring. But the newly published Eat Alkaline: The Viva- Mayr- Principle by Harald Stossier and Emanuela Fischer has far more tempting fare. 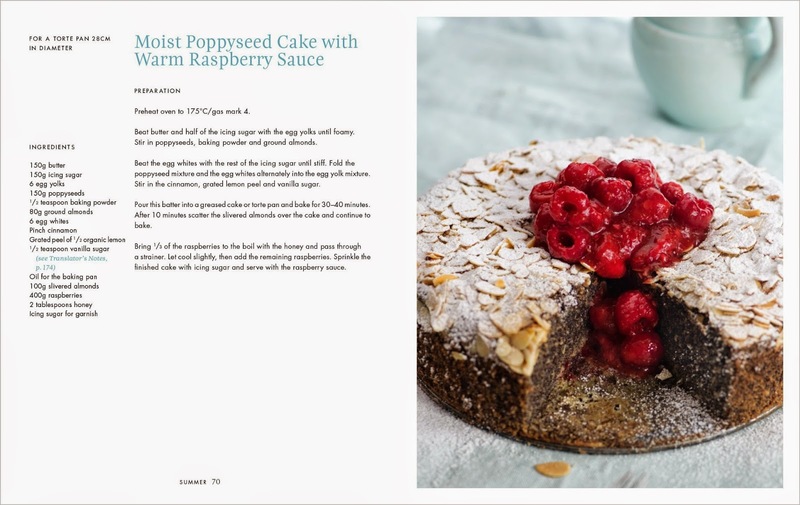 Although it does go in to some of the philosophy behind the Viva diet, it’s primarily a cookbook and a rather inspiring one too, packed with nice looking recipes, divided into the four seasons. 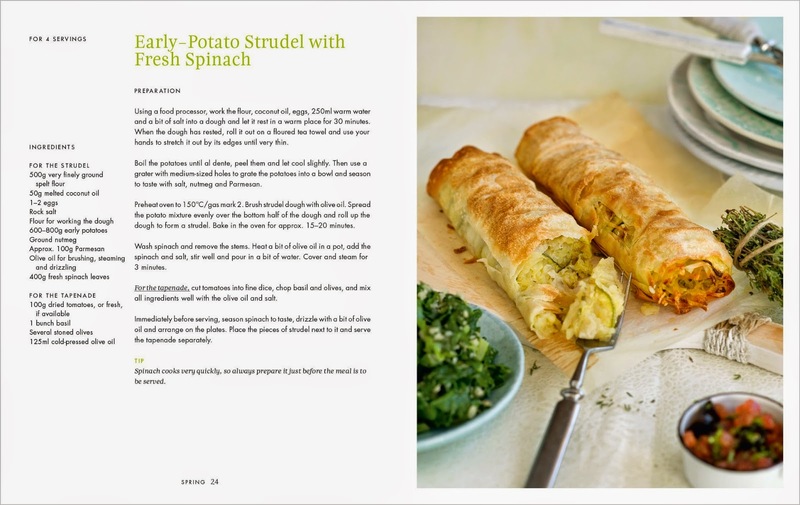 So, we’re talking about things like Early Potato Strudel with Fresh Spinach. In case you’re wondering, yes, there are fish and meat recipes too, though Viva Mayr suggest you eat them just two or three times a week.